Unique or Cool Features: The whole first part of this book is fascinating reading! Before you even flip through the numerous pages of recipes, you'll find an Introduction (seriously, it's interesting enough to merit a mention), The Immigrant Year, Shoppinng all'Italiana, and Our Italian Kitchen. Combined, they make up a total of 70 fact-filled, history-laden good reading. While I think so many recipes are sound fabulous, I'd buy it just to read this primer. My Thoughts/Review: Not only is this a jam-packed cookbook...it is also a fantastic guide. There are no color photos, but since I look at this as sort of a handbook/workbook, I don't think this detracts from the glory of this book. It does have wonderfully drawn illustrations when something needs a visual accompaniment, though. 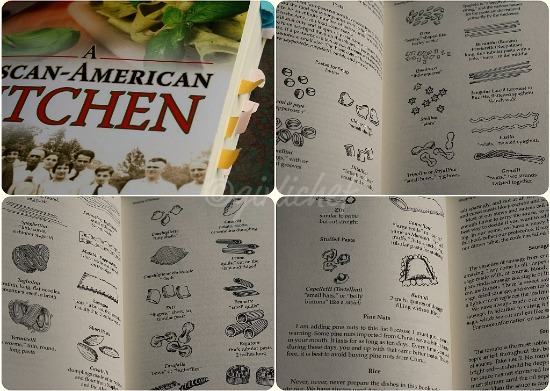 Originally published in 1993 and titled Immigrant's Kitchen: Italian, it has been updated to compliment the new American pantry and cooking methods. Distinctions have been noted throughout the book as to whether a recipe is Tuscan or from a different Italian region. 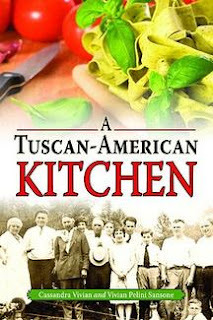 A great addition to any Italiaphile's, food-lover's, bookworm's, or cook's bookshelf. Great review.Makes me want the book! You will kill my budget! I have to have this book! Do you think if I begged the publisher they'd send me one?!! Seriously, great review, great!! If you love Italian food this is a gotta have...I can see that now! I never feel like i have too many Italian cookbooks but this sounds like one I need more than all others! A great read with great recipes as well is hard to find.